Excellent visit! Dr Colman explained my xray results, then provided me with multiple treatment options, many of which didn'tinvolve surgery. Great teaching style and a wonderful listener. So happy to have found Dr Colman. Excellent visit! Dr Colman explained my xray results, then provided me with multiple treatment options, many of which didn't involve surgery. Great teaching style and a wonderfullistener. So happy to have found Dr Colman. Dr. Aaron B. Colman is a competent and engaged orthopedic surgeon serving the community of Exeter, NH. Dr. Colman attended Temple University, where he received his medical degree. He completed his residency and fellowship at Albany Medical College. He then completed his fellowship in foot and ankle surgery at Portland Orthopedic Foot and Ankle Center. He holds a bachelor’s degree from the University of New Hampshire. 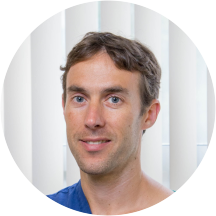 Dr. Colman is a part of Core Orthopedics, where he sees patients for orthopedic consultation, ankle problems, foot problems, and other common and specialized visit reasons. He is board certified by the American Board of Orthopaedic Surgery. He is affiliated with Exeter Hospital. Dr. Colman is deeply committed to the wellbeing of his patients. He takes a thorough and precise approach to his consultations to ensure that he is consistently giving accurate diagnoses. He also makes every effort to put his patients at ease and provide them with the best comprehensive care available. Some of the dysfunctions he has managed include sport injuries, foot problems, and herniated disks.